So it's the last day, the last letter and it is the "Z" this is an easy one what we should all be doing in May.What were some of your highlights of the "A to Z Challenge", did you make a friend or two and are you looking forward to next year... come on you know you are. I am glad I was part of all the fun and being the behind the scenes co-host of the event, team it was a pleasure. A special thanks goes out to Lee for making this all possible and making it a grand old time... Now go feed the Monkey Meter... it's hungry. By George...is that May I see - gosh she looks good! and with her comes the REFLECTIONS POST, starting on May 7th. Add this Badge to your site! One more day of posting (April 30th) and we can all give a collective sigh of relief knowing we survived the Challenge! But really, how hard was it? I bet you feel like you can tackle just about anything - even a little reflecting! So that brings us to the REFLECTIONS POST and what it means to you. While you may use this post to reflect on many things we would love to hear what you have to say about your alphabet adventures as a participant of the A to Z Challenge. How did your journey through the alphabet go? Did you meet new bloggers with similar interests? Are there any you would like to feature and share with others? Did you enjoy posting daily? What was your biggest hurdle? What was your easiest task? And what about your content - did you have a theme or did you wing it? Was it easy to come up with ideas for each letter, or were some harder? How about commenting - did you stumble upon lots of sites still using word verification? Did this prevent you from leaving a comment? What worked for your blog? Are you looking forward to doing a little “reflecting” on May 7th? I know I am! Arlee Bird (Tossing it Out) offers more information on the Reflections Post in What’s Next? Y is all about YOU! 'Every great dream begins with a dreamer. 'Believe in yourself and others will too!" See? YOU, YOU, YOU, YOU! If you have the want, and the will, you have a way! Good luck with the rest of the challenge! I look forward to reading the last of the A to Z posts and continuing with the Reflection posts May 7th! You're gonna make it! You've nearly reached the end of the challenge and it's almost time to celebrate. Were you able to maintain your enthusiasm for the duration of the Challenge? How did it feel? This was one month of your life filled with a passion to achieve. Carry that fire with you throughout the year. Xerox your zeal. Remember how you felt this April and know that whatever you strive to achieve in life, you can do it. You've got what it takes. We'd like you to share your experiences and your feelings. Remember to prepare your entry for the Blogging from A to Z Reflections Posts that will begin starting the week of Monday May 7th. Enter the link to your post on the Linky List that will appear on that day and be open for the entire week. Also, we are interested in your guest posts for the A to Z Blog. If you have an idea for an article you'd like to contribute to this blog, send us an email so we can schedule your post. 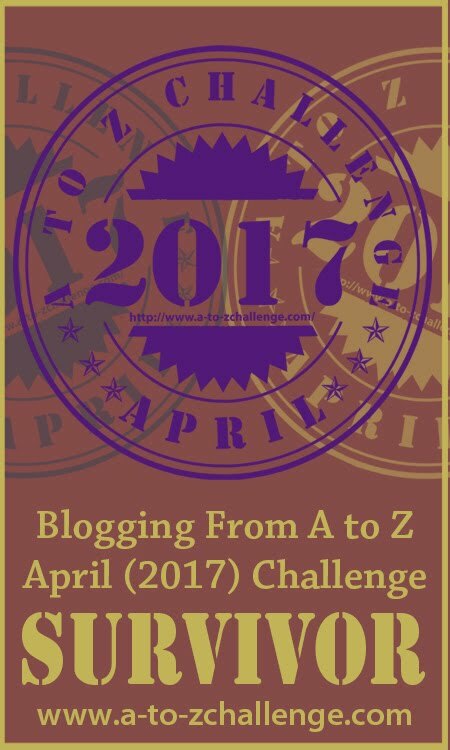 And don't forget about the A to Z Post Challenge Challenge. Be watching this blog for more details. Don't suffer from A to Z withdrawal. Join the fun and networking opportunities at a less-stress more leisurely pace. 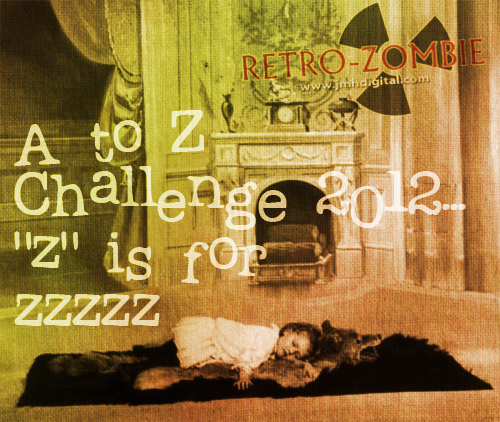 Okay, so I stole this post from my last year's A to Z Challenge. I feel that it's too good to not share again. I just love the quotes and humor behind this and I hope you will too! ictory is close at hand! Can you feel it? 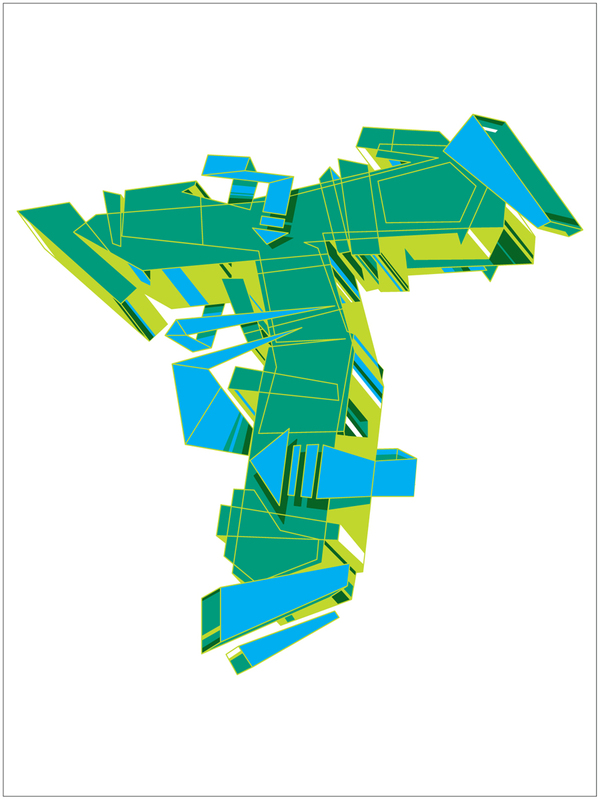 You've almost made it through the A-to-Z Challenge. All your hard work and perseverance are going to pay off. Not only that, but you've probably picked up some fantastic new vocabulary words for next year! If you're anything like me, you have found that being given a letter prompt and an almost daily deadline has really stirred your creativity. Johann Gottfried Von Herder said, "Without inspiration the best powers of the mind remain dormant. There is a fuel in us which needs to be ignited with sparks." The A-to-Z is a wonderful inspiration. Take these last days and run with them, but continue on after the letter "Z." Take that inspiration, that spark, anything you might have learned from this experience, and make it a part of yourself. How are you feeling as we near the end? Exhilarated? Tired? Sad? Pumped? This post is brought to you by one of the April A to Z Challenge co-hosts: Damyanti@Amlokiblogs. We're almost near the finish line---and this has been quite a ride, from A to T.
For U, it is upward and forward-- just six days to go and another year of the challenge would be accomplished. Time for second wind, a fresh burst of energy, of not looking back. The A to Z Reflections Postings will begin on Monday May 7th. 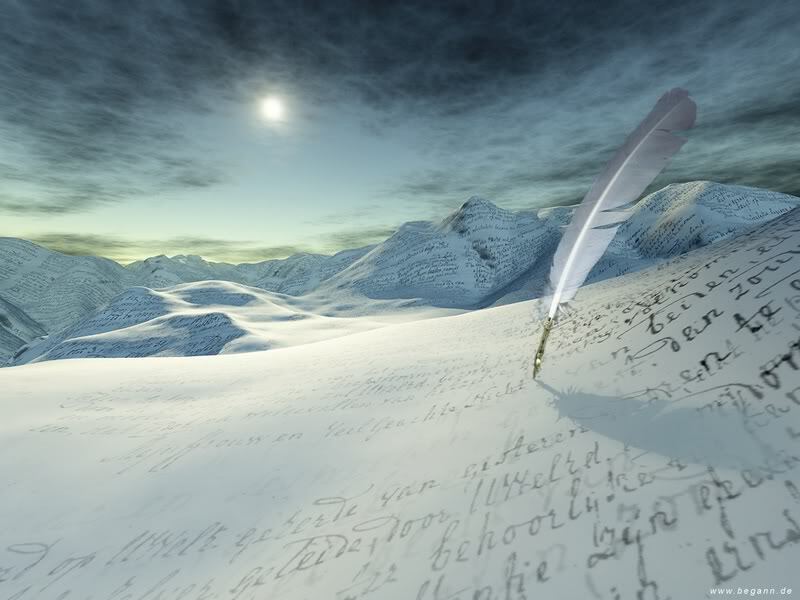 These posts will be your personal thoughts about the A to Z Challenge and, like the A to Z posts, you can do them anyway you want--in prose, verse, images, or whatever suits you best. We want you to tell us about your A to Z experience. You can tell us what you thought were the highlights of your April Challenge, what you learned, what changes you might make next time, or what surprised you most. Let us know about special bloggers you met in your A to Z journey or about a post or posts that especially moved or impressed you. 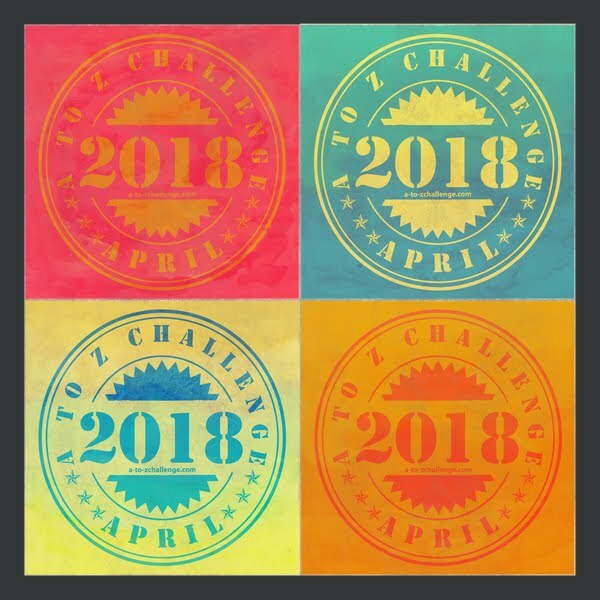 There are no limits as to what your Challenge experience might have been so tell us in your best way how you felt about the April A to Z Challenge of 2012. 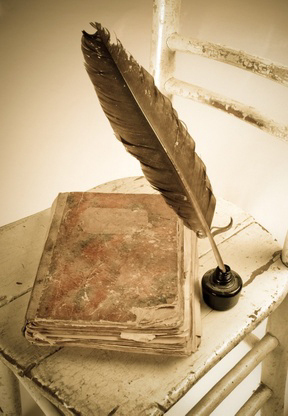 We do ask that you keep your posts no more than a thousand words. There will probably be a lot of blogs to read so we don't want to bog anyone down with exceedingly long posts. 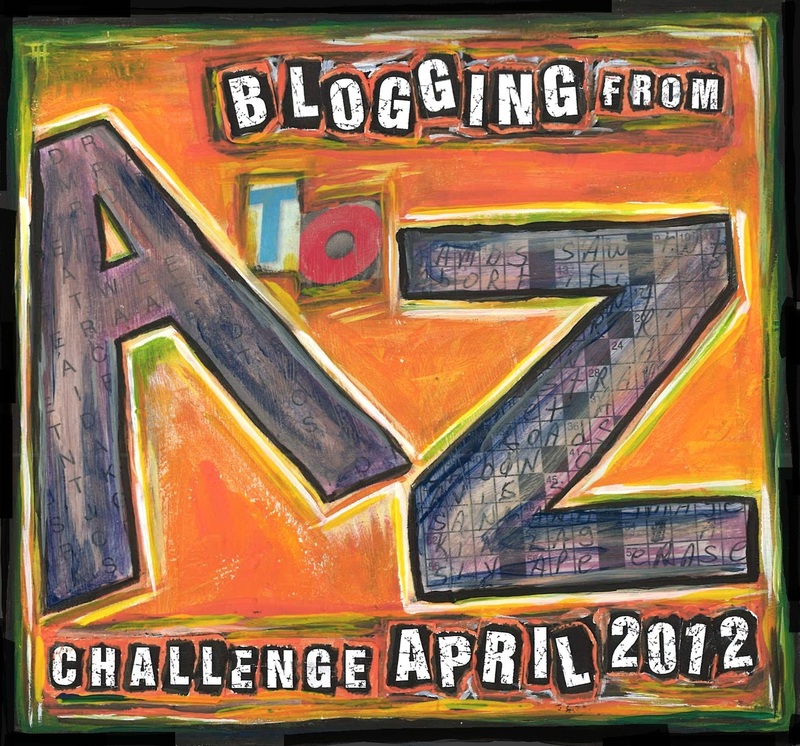 As I've said, the Blogging from A to Z Challenge Reflections Posts of 2012 will start on Monday May 7th. The Linky list will go up on that day so you can enter the link for that post on the list. For those who already have blogfests or something else planned for that day, don't worry--the list will be open for the entire week so you can publish your Reflections post anytime that week and still participate. That list should also be accessible until the end of the year along with the A to Z Master List. 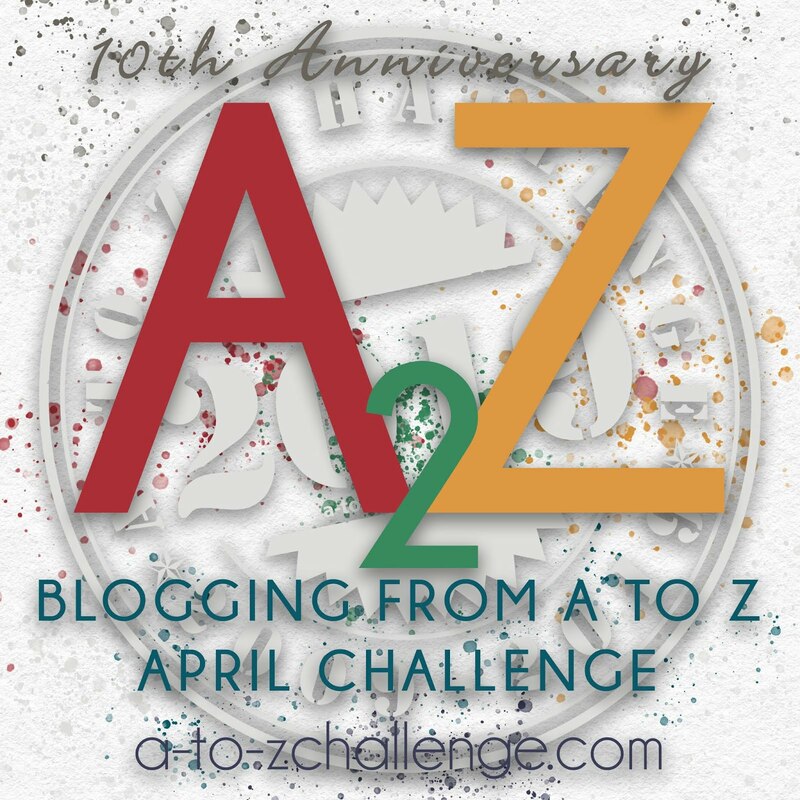 This post is brought to you by one of the April A to Z Challenge co-hosts: Matthew MacNish. I think next year we're going to do these posts a day late, so that we can consider featuring the best posts we read the day before. Anyway, for now I'll just be mentioning some awesome things that start with T, followed by one blog post from a participant I know you guys will love. Titans - they're really tall. Theater - movies and plays. Tetris - from Russia with fun! Toll Booth - phantom ones, not real ones. The Triple Option - it's an offense in football, run by Georgia Tech. And now, let me point you to a blogger whose posts for the A to Z Challenge I've been enjoying very much. Joe Lunievicz has been going with a Greek theme, and his post for today, T is for Tartaras, is a great one. #atozchallenge: What's Next? Coming Soon! 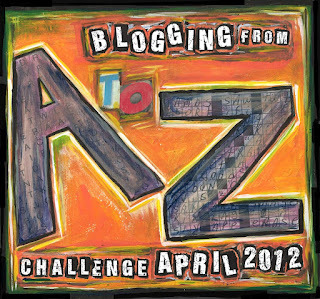 As we enter into the final week of the Blogging from A to Z April Challenge some of you might be wondering What Next? The frenzy of daily blogging and rushing around to visit as many of the other blogs as you can may have worn some of you to a frazzle. You might be looking forward to a blogging break. While others of you may be having such a great time with the Challenge that you might experience A to Z withdrawal come April 30th. Whichever the case may be, we hope that you will stick around in May for one more big event--the Blogging from A to Z Reflections Post 2012 Edition. Those of you who have participated or followed the previous Challenges will probably remember what I'm talking about. For those of you who don't know, I will explain. Last May on Tossing It Out I had a series of A to Z evaluation posts where we looked at the good and the bad in the Challenge of 2011. 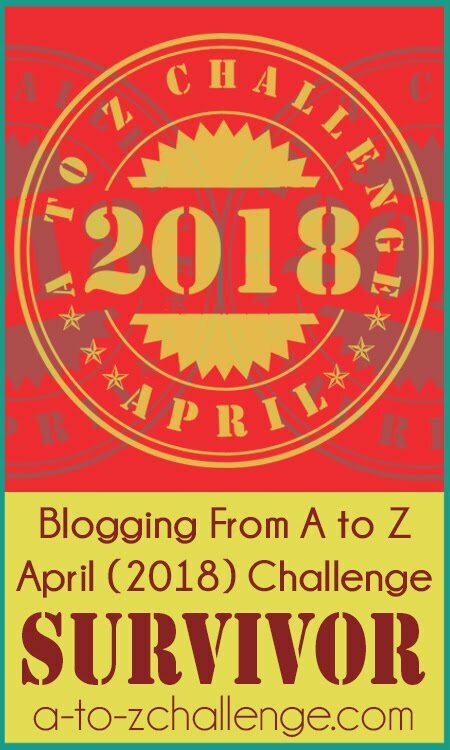 This proved to be such a popular and helpful series of posts that we will be doing this again, this time on this A to Z Challenge Blog. Watch for these posts in May and be sure to let us know what changes you would like to see in the next Challenge. Tell us what you would improve, keep the same, or get rid of in 2013. Give us your thoughts on the A to Z Video contest and any other ideas that might add an extra special dimension to the A to Z Challenge. Since we will be having the evaluation posts, you might want to save any thoughts along those lines for those posts and not the reflections posts. But by all means feel free to add your evaluations to the Reflections if you'd rather do it that way. The evaluations will delve deeper into the specifics and offer more suggestions for your consideration. I'm sure not many of you got through the entire list and I've heard many say that they will be continuing to go through the list after the April Challenge has ended. It is a great way to discover new blogs so I'd encourage this. Last year our co-hosts Shannon Lawrence and Tina Downey hosted a Post Challenge Challenge. Be watching for more details concerning this in the next week or so. This blog will stay open for business! This has proved to be a rather popular site and we want to keep it active. No after Challenge schedule has been determined yet, but we're open to suggestions. What we will be doing however is accepting guest posts for the upcoming months. These posts will be about blogging and writing in general and whatever else you want to read here. We will be featuring your blogs and providing the blogging news that seems most appropriate to appear on these pages. Let us know your thoughts. Let's Spike the Blog Numbers! I'd like to make one last request today. In these final days of this Challenge, let's boost follower numbers on all the blogs that need it. My goal is to see every blog leave this Challenge with at least 100 followers on their sidebar widget. This week, whenever you come to a blog that has less than 100 followers showing and you're not following them already, click that button and follow that blog. I think most of you feel pretty good when you get a new follower so spread the love. Become a follower and let that blogger know in the comments that you've done so. You might even get a new follower by doing this. To start you off, go to the blog A Few Words and become a follower there and leave a note in the comments that you've done so. Now I know this is a shameless plug since this is my blog, but I'd like to end up with 100 followers there at the end of the month. And actually I'm making a point with my plug. If other bloggers don't know you're there you won't get followers very quickly. In order for you to receive comments and followers you are going to have to get out there and leave some comments on other blogs and follow them as well. It works and I know this from experience as do most of you. So, if you currently have less than 100 followers, note this in the comment section on today's post here. And then get out and visit some blogs that you haven't been to before and encourage visitors to come to yours. Increased visitors and followers will increase your odds of gaining readers and getting comments. Try it and let us know if it works. Enjoy the upcoming week of blogging and make it the best one yet. Some of the toughest letters are still to come and I'd say we are going to see some interesting posts full of creativity. You’ve got a good pace going. You’re closing in on the letter Z. And you’re one step closer to success. So no slacking now. No shuffling of feet. And no sobbing either. There’s no crying in blogging! Who doesn't love a comment on your blog, someone saying something nice on your latest post...cause why write it if no one reads it. I am putting up a few slang terms that start with the letter "R" from a old book I had found in my travels, if you know me... well then you know me and this makes sense. Rook (Old Eng. ), a cheat, a card sharper. Rook (Eng. ), a clergyman, from his black clothes. Rook, to cheat or swindle. Rookery, a low neighborhood, street or collection of houses. Roorback (Am. ), a false allegation issued for political purposes. Roost, a resting-place, "Going to roost," going to bed. Rooster, the male barnyard fowl. Root of all evil, money. Root, hog, or die (Am. ), signifies that one must hustle for a living. Rope, to cause a horse to win or lose a race. See Pull. Rope-in (Am. ), to swindle; to induce one to enter a scheme in which he will be cheated. Shakespeare uses "ropery" for roguery. Roper-in (Am. ), a "capper" for a gambling house or for any other swindle. Ropes, "to know the," to be "up to snuff;" to know the way about; familiarity with city life and tricks. Roping, pulling or otherwise restraining a horse in a race. Rose, "under the," quietly, in secret. Rough and tumble, a fight in which all rules are ignored. Rough diamond, a man whose character is better than his appearance. Rough it, to put up with inferior accommodations or food ;to work hard, as at mining in the Territories. Rush, to come suddenly on one. To give a man the rush is to spring a demand for money on him. Rushing the can or the growler, sending to the saloon for beer with a can or pitcher. Rush it (Am. ), hurry up. Rust, "to nab the" (Eng. ), to take offense. Rustle, to move about sharply ; to hustle. I Love Comments... 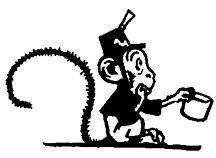 So go ahead, say something nice... or I will send "Bugsy the Chimp Boy" to your site and trust me no one wants that. Many astronomers believe that quasars are the most distant objects yet detected in the universe. Quasars give off enormous amounts of energy - they can be a trillion times brighter than the Sun! Quasars are believed to produce their energy from massive black holes in the center of the galaxies in which the quasars are located. Because quasars are so bright, they drown out the light from all the other stars in the same galaxy. Despite their brightness, due to their great distance from Earth, no quasars can be seen with an unaided eye. Energy from quasars takes billions of years to reach the Earth's atmosphere. For this reason, the study of quasars can provide astronomers with information about the early stages of the universe. The word quasar is short for "quasi-stellar radio source". This name, which means star-like emitters of radio waves, was given in the 1960s when quasars were first detected. The name is retained today, even though astronomers now know most quasars are faint radio emitters. In addition to radio waves and visible light, quasars also emit ultraviolet rays, infrared waves, X-rays, and gamma-rays. Most quasars are larger than our solar system. You can visit Stephen Tremp at his Web site Breakthrough Blogs. I was hoping to highlight some of my favorite posts I'd seen on the letter P, but then I realized it will take all day for me to read them. So instead, I'll just list a few cool things that begin with the letter P, and then maybe mention a couple A to Z Participants. Pirates - ARHG! Plus - booty. Prose - Particularly creative writing. Pulled Pork - Because, yum. Paris - I've never been, but they say it's wonderful. Paladins - Because they're really nice guys. People - We make the world go round. Kristen is a teacher, a writer, a fan of great literature, and a lover of all things revolutionary, so here's her post: Please Don't Dim the Lights. O for Onward in the #atozchallenge ! This Letter "O" post is brought to you by Damyanti, co-host for the A to Z Challenge. So we're nearing the finishing line... and I'm thrilled to say a whole lot of us are marching on, commenting widely and often, and having a rollicking good time. Posting to theme everyday for a month can drain a blogger, however, so to everyone whose energies are flagging, we say, "Onward! We're almost there!" 1. Turn off your word verification. It helps no one. You may moderate comments for a while if you're unsure. I still find blogs with the Captcha on, and it makes me feel sorry. 2. In your comment id, link only to your AZ blog, NOT your profile which may have five other blogs. Trolling through ten links to find your A-Z blog is too much to ask any one visiting back. 3. Leave a link to you when you comment, so no one spends hours finding you. 4. Comment when you visit blogs, and you'll get comments in return. 5. Make it easy for people to follow your blog and follow you on social media. Don't forget about the May 7th Reflections post. Save the Date! Details coming soon. I find that bloggers handle responding to comments in one of four ways. 1) They simply don’t, or they do so very sparingly. 2) They answer the comment by leaving a comment of their own on the same post, or they utilize an augmented system that allows replies within the comment screen. 3) They email their reply directly to the commenter. 4) Use a combination of the above. There is no right way, or wrong way, just the way that best suits what the blogger is most comfortable doing. After years of experimenting and trying the different methods, I settled into using the third one – emailing my responses. As with each of these techniques, it has its pluses and minuses. As an incessant blog-reader, I RARELY return back to a blog to see if the author has responded directly to my comment, so believing that most people operate similarly I chose a method that would ensure they heard my reply. I also find it more personal and a way to create an open dialogue that extends beyond the post/comment. I have my blog setup so that I receive an email notification for every comment (remember the smiles?) and I merely reply to that. Here’s where the main drawback comes in, and this is a big one, a lot of readers still do not have their email address visible through their profile, so when I receive the notification it shows up as No Reply-Comment. That means I cannot reply back to them as I would like. Some prefer it this way for security reasons, others simply are unaware. For those of you who would like to change that, instead of me going through a tutorial (and making this post much longer than I intended), here’s a link to Nancy Olivia’s blog where she explains what to do. Tell me, how do you handle responding to comments? Get in the locker room! It's half-time! We're ½ way there! You're doing an awesome job out there! I've seen some great plays! No fumbles so far, and we're sticking to our game plan. Are there any questions? *If you need a couple of plays off, that's fine. There's nothing wrong with posting twice in one day to catch up for a rest day of no posting. *That's a tough one. Your call. As far as I'm concerned, the visiting is one of the most exciting parts. You never know what you're going to find. You don't know if your next blogging buddy is right around the bend, five blogs away! I think the navigation buttons that you'll be able to install will get the fire going again on the visiting. *That's an easy one. Visiting! I'm sad to say some folks have only gotten a very few visitors. Sad state of affairs! So if you've still got a lot of spring in your step, then step up your blog-hopping. Wherever you land, they'll be glad you came by. Ok folks, it's time to head out there again. Keep up the good work, and don't forget our goals. Discipline to blog frequently, and community building through finding new bloggy friends! When this is all over, you'll be glad you stayed in the game. 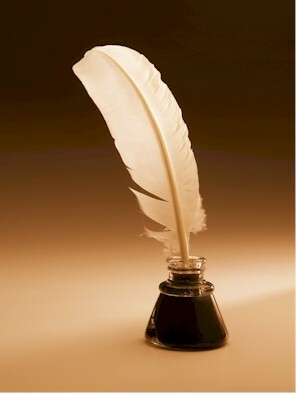 On Monday May 7th the Linky list for your Blogging from A to Z Reflections Posts will open. For those who have blogfests or other plans made already for that day, don't worry the list will be open for the entire week. 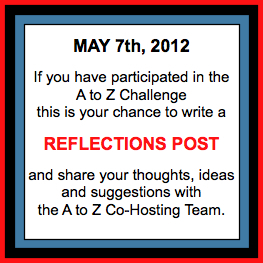 We hope all A to Z participants will plan to sign up and present your thoughts about the April Challenge. Be watching for more information about the Blogging from A to Z Reflections Post. The A to Z Navigation Buttons Are Ready! Many of you have asked for the A to Z Navigation Buttons that we had last year. Those of you who do not know what I'm talking about can find the buttons at the top of the side bar. Check them out--they are pretty cool. 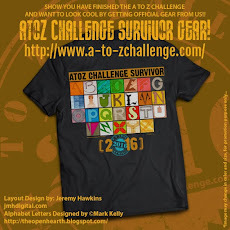 Marcus Clearspring who created the popular A to Z Navigation Buttons for last year's Challenge has done it again. For those of you who are interested in adding the buttons to your site visit Marcus's site Writing Investigated. theme from a different group, if you have switched to Dynamic Views. 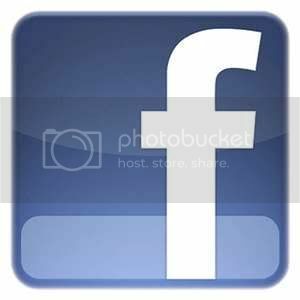 link it to open the above page. Kerrie at Here I Am Kaycee has been leaving some wonderful A to Z posts with excellent reminders for all of us. Stop in for a visit and while you're there click her follower button to help her try to reach her first 100. This Letter "M" post is brought to you by Jenny Pearson, co-host for the A to Z Challenge. How are you doing out there? Enjoying your Alphabet Adventures? Meeting new bloggers, reading interesting posts, enjoying wonderful pictures, learning a little history along the way - these are just a few of the memory making moments mesmerizing me as I make my way through many magnificent blogs. How about you - are you making memories along the way? I have been a mother for a quarter of a century - my, my, where has the time gone. 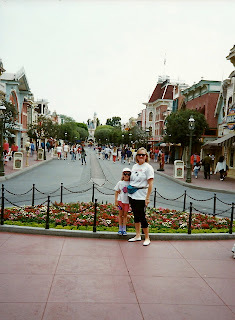 As you are reading this I am taking a stroll down Mainstreet, USA with Courtney - today she is twenty-five! Her birthday wish is to spend time in the place which has inspired her career and fuels her passion - making more magical memories in the process. Do you know where we are? Have you been here too? I will be sharing a photo montage of the memories we are making in the merry month of May! 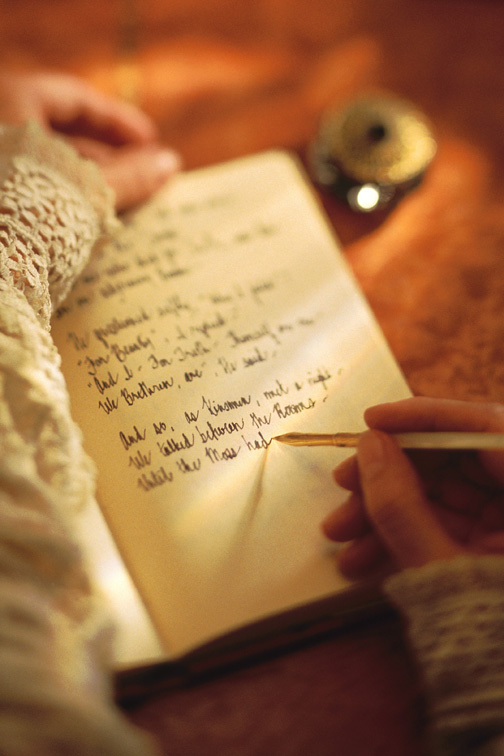 What is your most memorable memory you have ever made? This Letter "L" post is brought to you by Jenny Pearson, co-host for the A to Z Challenge. LEGO - if you haven’t visited Courtney’s Sketchblog you really should. For the Challenge she is using adorable little Lego figurines as her alphabet inspiration. drop by Courtney’s Sketchblog and see the rest. Lego played an important role in Courtney's childhood and our time together. We had Lego-mania nights with great regularity where we would dump two big buckets of Lego on the living room floor, get out two big green Lego sheets and "go for it". Our imaginations were limitless and the fun priceless. 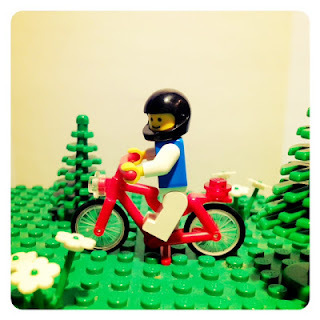 Today, we still dump the buckets over - hence her desire to share a little Lego nostalgia for this Challenge. LOVE - one of those words I overuse when talking about my daughter (the Lego girl). Tomorrow is her birthday, she will be twenty-five - hard to imagine - where does the time go; heck, I still feel twenty-five. As you read this, we are on a great adventure, visiting her all-time favourite place to celebrate a quarter of a century of knowing each other! The love I have for her knows no limits. LETTING GO - it is hard enough living my life, making and correcting my mistakes, and finding the path I am to travel as I journey through this singular lifetime. As a parent it is often hard letting a child flounder; struggling to finding their own way; standing on the sideline as they correct their own mistakes. Oddly enough letting go is the ultimate gift a parent gives their child - they will manage and they will soar on their own wings, finding the current that best pulls them to where they are meant to be. Letting go is good. Letting go is mandatory. Letting go is trusting yourself and your wisdom. I can only live one life...mine. As a parent I can only act as a guide, pointing out obvious pitfalls but encouraging the exploration of the unknown, even if I am afraid of it. Letting go is liberating. It allows me to live my life fully while embracing the wonders of the lives around me. I can only ever be a vicarious participant in a life that is not my own. Now, I ask you: Are you living your life or someone else's? Are there things you need to let go of? And...how is it going with this Challenge - are you enjoying doing your own thing - showcasing what is your passion and joy? Are you letting go here too and having fun? I know I am!! Enjoy the Challenge; drop by Pearson Report and say HI! Are you Amazing Race fans? I am. As much as I am enjoying the journey we're on, I am also feeling a bit overwhelmed this last week, with so many comments to respond to, blogs to visit, technical co-host questions to answer, err...pass off to those who know how to answer technical stuff,and a complete logjam in my inbox. I realized that I'm in the Amazing Race. 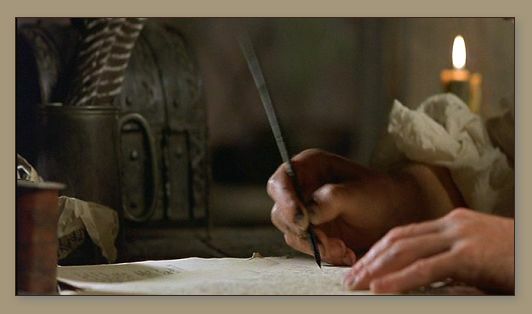 In my travels through the list of participants, I've found that we have is a real kaleidoscope of bloggers out there. Lots of styles, colors, vivid writing, and blogs that make you turn your head and say, “Hmmm, I hadn't thought of it that way.” I've seen viewpoints I embrace, and viewpoints and topics that had me exiting stage left as fast as my sturdy Scandinavian legs could carry me. I've read wonderful, mind bending stories in 100 words. I've seen photos and art, watched videos, and experienced poetry so powerful your soul sighs. It's all out there. Waiting for you to visit. It made me feel a lot less stressed when I could put my finger on it and realize that what's frustrating me isn't hard to overcome. Just like the contestants of that reality show have to overcome hurdles (will you PLEASE turn off word verification? At least for April??? 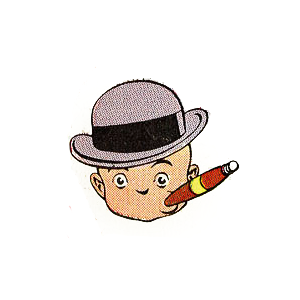 ), play Where's Waldo to find the next hurdle (finding where to comment on a post is sometimes like a treasure hunt without a map) and get tired, cranky, hungry, and ready for a drink, I do too. In the end, though, we signed up for this, and if we just calm down, pour a drink, put our feet up, and keep going, we're going to finish this race. The blogging world will be clapping for us when we head into that last turn. Break over. Let's get out there! #atozchallenge: G Is for Great Job So Far!